I read this article and found it very interesting, thought it might be something for you. The article is called Braces for Children and is located at https://www.dencaresmilecenter.com/orthodontics/braces-for-children/. When considering orthodontics for your child, it is important to understand that children’s braces need to holistically address any dental issues they may have, and deal with both aesthetic and practical concerns at the same time. This means that not only should children’s braces leave them with a perfectly straight and beautiful smile at the conclusion of the treatment, but that the braces themselves should not interfere with the way your child eats, speaks or socially interacts with their peers. When Should Children Begin Orthodontic Treatment? Orthodontics Checkup by Age 7 – If you want to ensure that your child will have the best smile possible as an adult, you need to make sure their teeth and jaws are aligned properly and that they have a healthy bite as early as possible. According to the American Association of Orthodontists, having a checkup by age 7 will enable your dentist to spot emerging problems that may require orthodontic treatment with braces to correct. 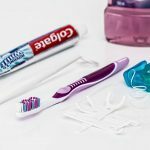 Early and Optimal Treatment Times – Some dental health conditions are best addressed while the mouth, teeth and jaw are still developing and early diagnosis can make treatment quicker, easier, and in some cases significantly less expensive. Orthodontic treatment with braces for children is an excellent example of this. Braces can be applied between the ages of 9 and 14, but exactly when depends on the individual child, their particular circumstances and level of physical development. 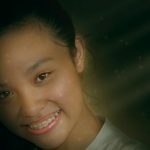 Benefits of Braces for Kids – Orthodontic treatment with braces in children has a number of significant benefits, both cosmetic and physical. Not only will your child have a beautiful smile at the completion of treatment, but they will also have a structurally sound bite along with an increased level of self-esteem. If you are thinking about orthodontic treatment with braces for your child, we hope you will consider Den-Care Smile Center. 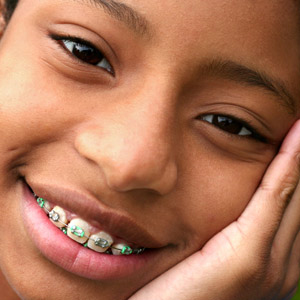 We have been providing Orthodontic Braces for children in Lake, Cook and McHenry counties since 1969. Dr. Kozina can help you choose the best care option for your child, and determine the best time to begin treatment.